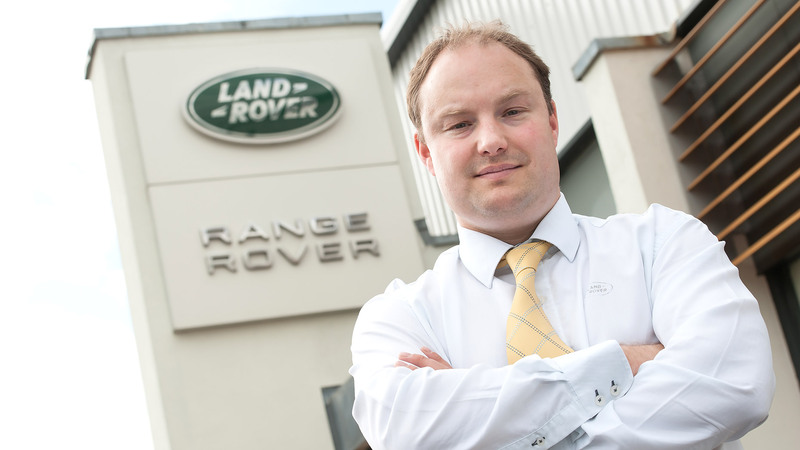 Driving Land Rovers competitively off road is something that Ben Duckworth, 38, has always taken very seriously — so it was only natural for him to get into the family business at Duckworth Land Rover and work his way up to the top. With a flair for the motor industry, cars have always been a hobby for Ben. “For some people, they can work in a particular industry and not be that interested in it, where as actually I am. I’m interested in cars and four-wheel drive outside of work,” he said. This feature interview was first published in issue 33 of the Lincolnshire Business weekly magazine, now available to read at www.lincsbusiness.co. Subscribe to the email newsletter to receive the latest edition in your inbox this Friday. He went to college to study engineering so he could join the family business, but when he received a scholarship with Land Rover, he couldn’t pass up the opportunity. However, after a few years of following his own path, his father’s business was really taking off and it was time for Ben to return home. “I spent quite a few years working up through the business and working in all of the departments before taking on more responsibility.” Ben started in the service department and then took on the role of After-Sales Director, making sure that customers stay the primary focus. Ben took on the Managing Director role in 2004/2005 and used his experience of working in a large company to develop the business. But nothing really prepared him for what happened in 2008. The full cover interview with Ben Duckworth is available to read in full here. Look out for the next edition of Lincolnshire Business magazine, which is published every Friday.